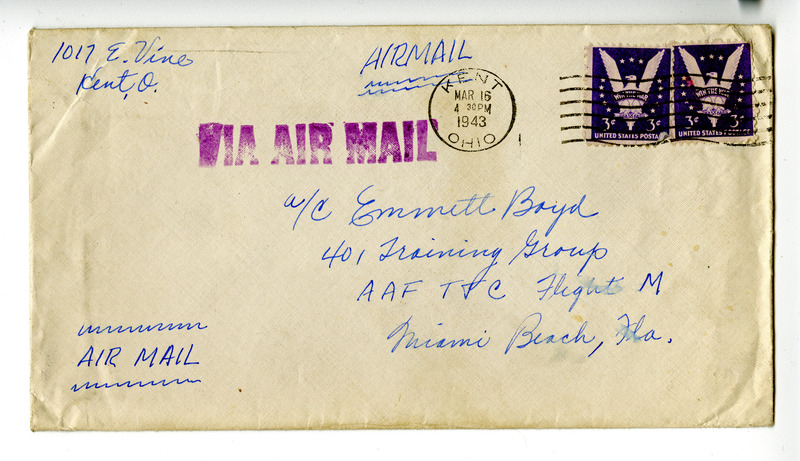 Jane Boyd writes to Emmett Boyd to tell him about life at home and inquire about his salary with army and training. 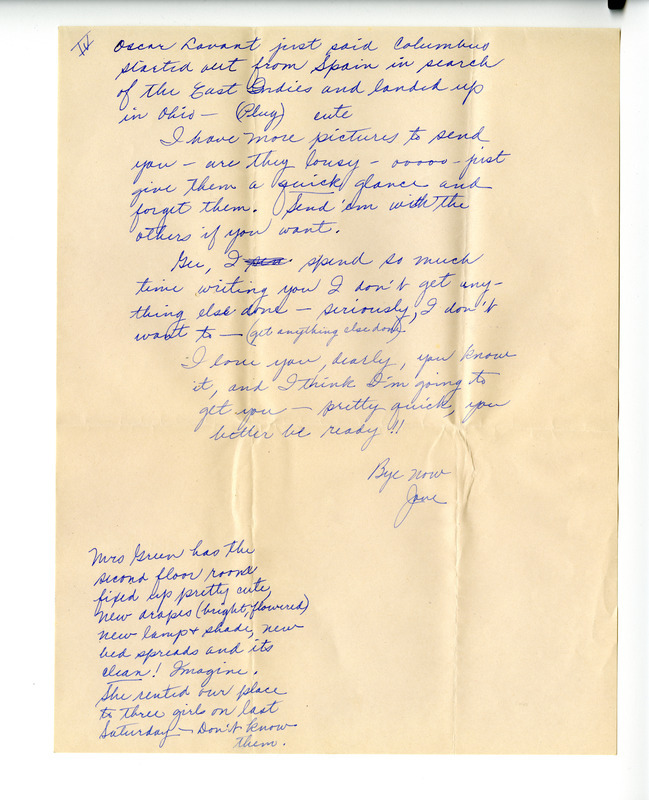 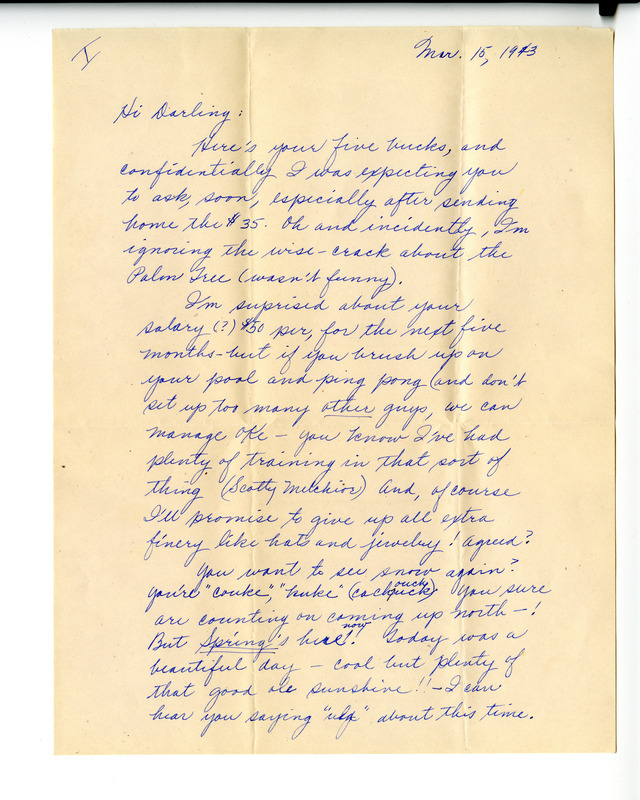 “Correspondence: Jane [Boyd] to [Emmett Boyd]: Mar. 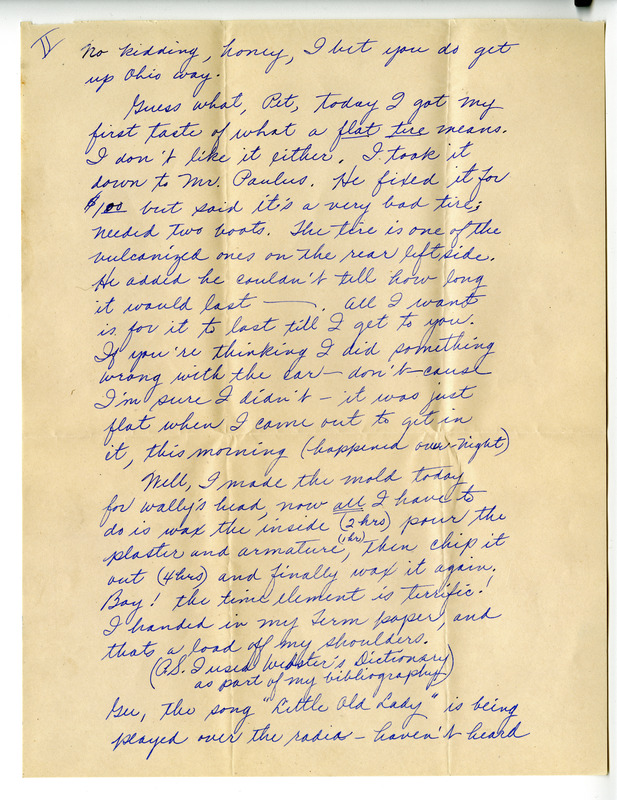 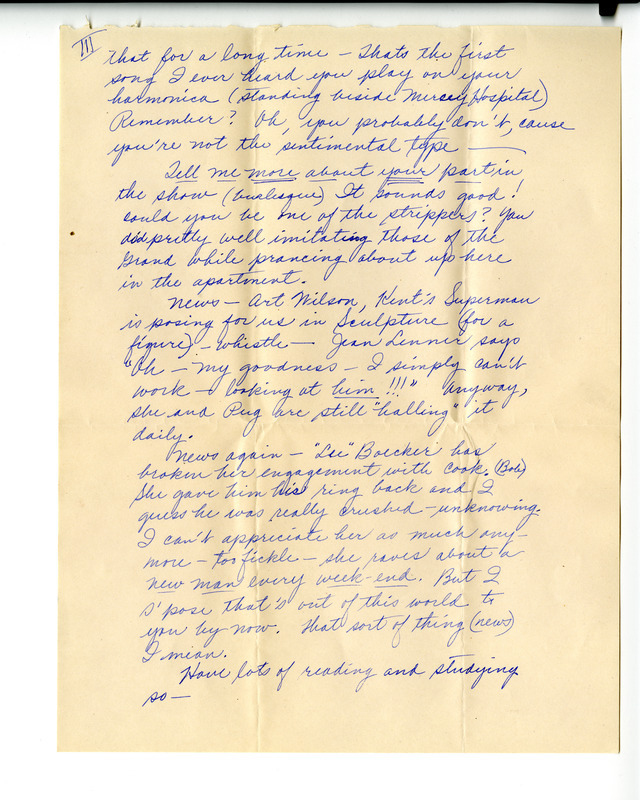 15, 1943,” Meeting Jane and Emmett, accessed April 19, 2019, http://meetingjande.net/items/show/3.